The legal field isn’t known for strenuous physical labor. Attorneys, court reporters, and law clerks spend much of their days sitting around a conference room table or at a desk. 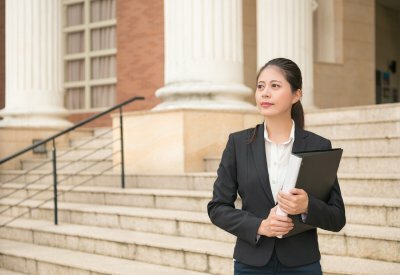 Court reporters in the Bay Area might try to get up and walk around every now and then, but this isn’t always possible during a lengthy deposition. By facilitating proper ergonomics for these long question and answer sessions, attorneys and court reporters can at least reduce the risk of repetitive strain injuries. 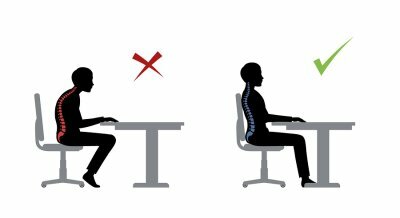 An ergonomic chair and work surface can help prevent chronic medical problems like tenosynovitis, tendinitis, lower back pain, degenerative disc disease, and carpal tunnel syndrome. Some legal professionals have made the switch to a standing desk for very long depositions. This can help with blood circulation, but it’s still necessary to ensure the working surface isn’t too high or too low. It should be at the height that allows the arms to be perpendicular to the floor when the shoulders are relaxed. With a few simple modifications, attorneys and court reporters can get through long depositions with their health intact. Court reporters are always looking for ways to improve their writing while making their job more comfortable to do. A change in steno equipment can be life changing, especially for court reporters who are struggling with back and neck pain caused by hunching over their machines. If you’re a court reporter in the Bay Area , the keyboard in this video may be what you’ve been waiting for. Watch this video to learn about a new keyboard that could boost accuracy and make typing more comfortable. The keyboard can sit in your lap, so don’t have to lean forward to type, and it contains a large number of sensors under the keys to make your writing more accurate than ever. 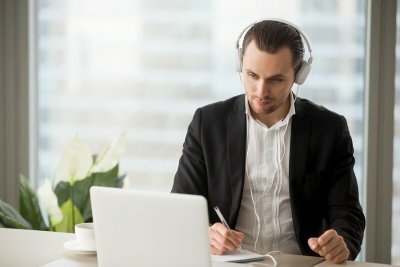 Use the keyboard along with a laptop to simplify your transcription process while preventing back and neck pain.